Picture the scene: You’ve just been given a great promotion! One which you have worked hard for. Once the initial elation has passed you find yourself lying awake at night worrying about whether you are competent enough to manage the task, and what others might think when they find out about your new role. You are suffering from imposter syndrome. Imposter syndrome is a psychological pattern in which an individual doubts their accomplishments and has a persistent internal fear of being exposed as a "fraud", despite external evidence of their competence. Those experiencing this phenomenon struggle to shake the belief that they do not deserve all they have achieved and incorrectly attribute their success to luck, or even worse, believe that their success has come about as a result of deceiving others into thinking they are more capable or intelligent than they actually are. First described by psychologists Suzanne Imes, PhD, and Pauline Rose Clance, PhD, in the 1970s, imposter phenomenon isn't an official psychological diagnosis but psychologists and others acknowledge that it is a very real and specific form of intellectual self-doubt. Imposter feelings are generally accompanied by anxiety and, often, depression. Also common is the experience of having a strong internal critic (a form of negative self-talk) which undermines self-confidence and creates a ‘reality gap’ between how an individual feels about themselves and the positive feedback they are gaining from their environment. 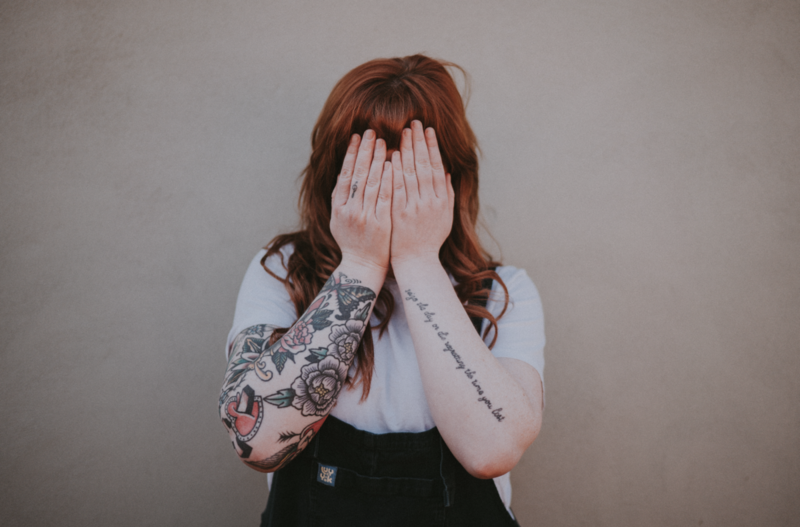 In our work with emerging leaders suffering from Imposter Syndrome, we have found that many of them have a strong personal ‘story’ about themselves which sets limits on how successful they see themselves becoming. One client I worked with had begun her professional life as a personal assistant and worked her way to VP over a period of years. Her personal script was that she was just a ‘girl from the country’ that had somehow got lucky enough to progress in her career. This personal script becomes a kind of unspoken contract with herself and set limits on how ‘successful’ she would allow herself to become. When she was promoted to VP, her current reality was so different from her personal script that she began to experience a high degree of self-doubt and anxiety about her VP role. Through coaching, she was enabled to become aware of and adjust her personal story about herself to reconcile with her current realities. Many people who feel like imposters grew up in families that placed a big emphasis on achievement. In particular, parents who send mixed messages — alternating between over-praise and criticism — can increase the risk of future fraudulent feelings. Societal pressures only add to the problem. If self-worth is linked strongly to achievement, the chances of experiencing ‘Imposter Syndrome’ are enhanced. The experience seems to be more common among minorities, and some minority groups may be especially susceptible. A 2013 study by researchers at the University of Texas at Austin surveyed ethnic-minority college students and found that Asian-Americans were more likely than African-Americans or Latino-Americans to experience imposter feelings. Interestingly, the researchers also found that imposter feelings more strongly predicted mental health problems than did stress related to one's minority status (Journal of Multicultural Counseling and Development, 2013). In fact, it seems that differing in any way from the majority of your peers — whether by race, gender, sexual orientation or some other characteristic — can fuel the sense of being a fraud. Imposter phenomenon seems to be more common among people who are embarking on a new endeavor. Whilst a measure of self-doubt is normal, those with imposter syndrome have real trouble believing that they are worthy of the position they currently hold or are capable of succeeding in it. Imposter syndrome and perfectionism often go hand in hand. Many times sufferers hold a conscious or unconscious assumption that every task they tackle has to be done perfectly, and, because they don’t want to be exposed, they rarely ask for help. When unsure how to proceed, therefore, they may procrastinate, putting off starting a task, out of fear that they won't be able to complete it to the necessary high standards. Alternatively, they may overprepare, spending much more time on a task than is necessary. The challenge with imposter syndrome is that most people suffer in silence. This is because their belief is that if they speak up about it, it will materialize/act as proof of their lack of competence and cause others to review their positive perceptions of the individual. This is why an important strategy in combatting Imposter Syndrome, is to create a space for people to talk about it. Once they understand that it is a common experience, it is normalized and sufferers can begin to support one another to develop strategies for overcoming it. So, what can you do if you recognize that you might be suffering from Imposter Syndrome? The power of Imposter Syndrome is in its silence. The ability to speak out your insecurities and fears in a safe, non-judgmental environment has an immediate and powerful mitigating effect. The very act of reaching out to another in this way, helps to normalize the feelings and breaks you out of isolation and obsessive internal reflection. A skilled coach will also help to raise awareness about your inner dialogue as well as stories you might be holding to about yourself, to help you into a healthier self-perception. Imposter’s tend to obsess about their weaknesses and perceived failures. Recognize where you can improve, but commit to focusing on your strengths to develop them into signature strengths. Besides replenishing your energy, working to your strengths will give you a strong sense of self-confidence and allow you to add real value to whatever you are undertaking. Work with those who know less than you, to pass on your experience and wisdom. This will remind you of how far you have come and help you to verbalize and become conscious of everything you do know. Learn to celebrate what you did well. Imposters rarely take time out to recognize their achievements and to reward themselves for their investment in their own development. If you suffer from Imposter Syndrome, you could probably benefit from reframing the way you think about yourself and your life story. By becoming aware of your personal story, you can ask yourself whether this story is really serving you and how you can adjust it in order to make room for more success. Diversitas is at the forefront of helping organisations put practices in place to build capability and develop an understanding of how diverse cultures, behaviours and insights impact behaviours at work. Recognising the impact of Imposter Syndrome is important to both private and public sector organisations in order to create a more inclusive environment. Our offering aims to provide a higher level of awareness for participants, so that they can examine their own beliefs, biases and behaviours to move beyond the impact of Imposter Syndrome (IS). It also provides participants with practical tools they can implement to move beyond the impact of IS and identify ways in which they can support others to do the same. Our offering includes pre and post training assessments, and a face to face training session, enabling participants to not only learn more about the issue, but also to measure the impact of the training, in their day to day work practices. Find out more about our Imposter Syndrome Awareness Training here.